"The meeting comes after Di Maio reached out to the Yellow Vests, writing on his blog in January, "Yellow Vests, do not weaken!" French authorities have condemned a meeting earlier this week held between Italy's deputy prime minister Luigi Di Maio and the "yellow vest" leadership. "Disagreeing is one thing, exploiting relations for electoral ends is another", the ministry added. The yellow vest protests, hostile to the French government but especially to Macron, have upended French domestic politics for almost three months, campaigning against what they see as rising social inequality and a government largely indifferent to the concerns of ordinary people. Macron has at times responded, criticising Italy last June for its refusal to accept a boatload of migrants rescued in the Mediterranean, and taking aim at Rome's public finances. 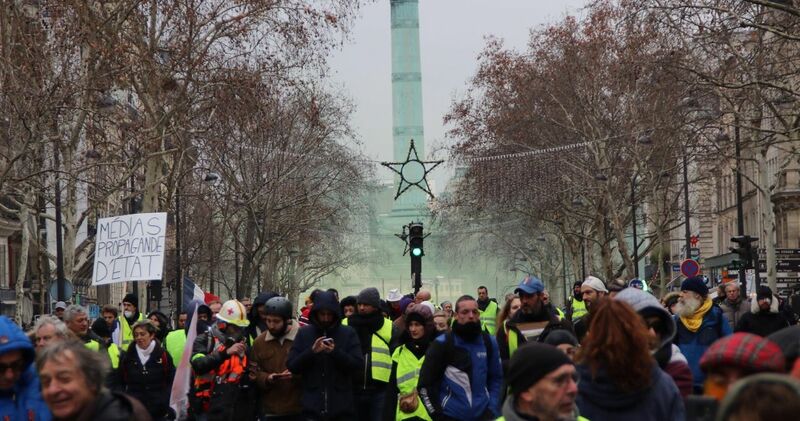 Media captionFrance fuel protests: Who are the people in the yellow vests? He said he hoped French voters would send Macron a message during the European elections by showing their support for far-right leader Marine Le Pen, with whom Salvini is allied in European politics. "We are concrete people and we defend the interests of Italians", he said.